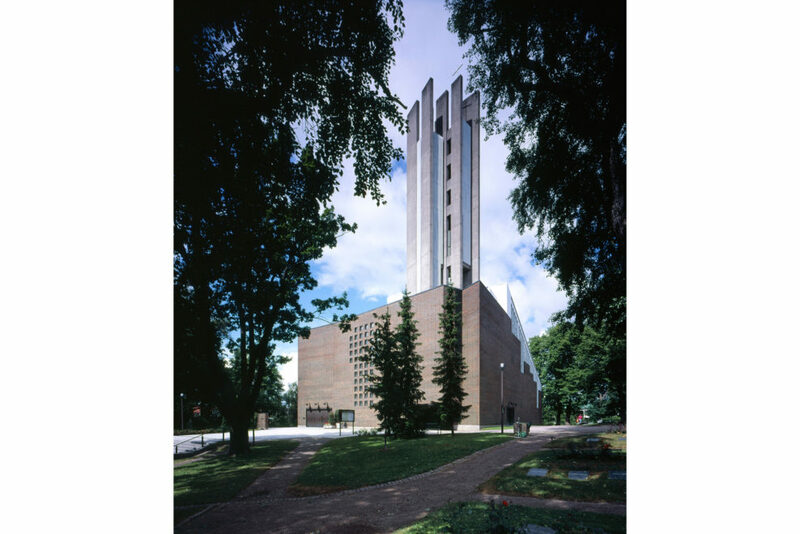 Implementation of Aalto’s winning entry in the Lahti church competition of 1950 was postponed until a completely different building site was designated: the hill on which stood the city’s wooden church, designed in the late 19th century by Jacob Ahrenberg. 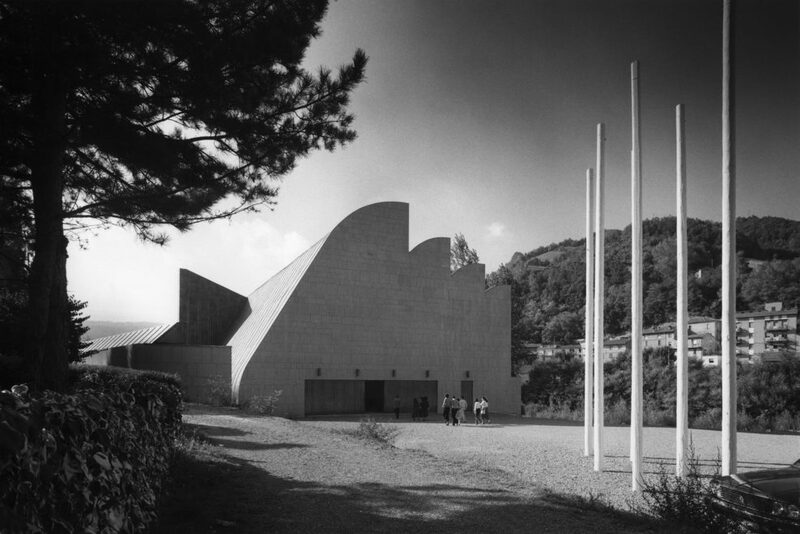 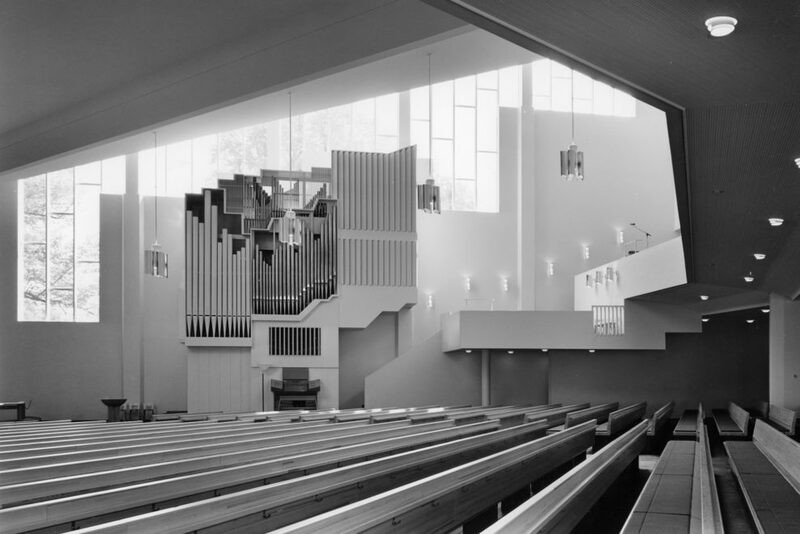 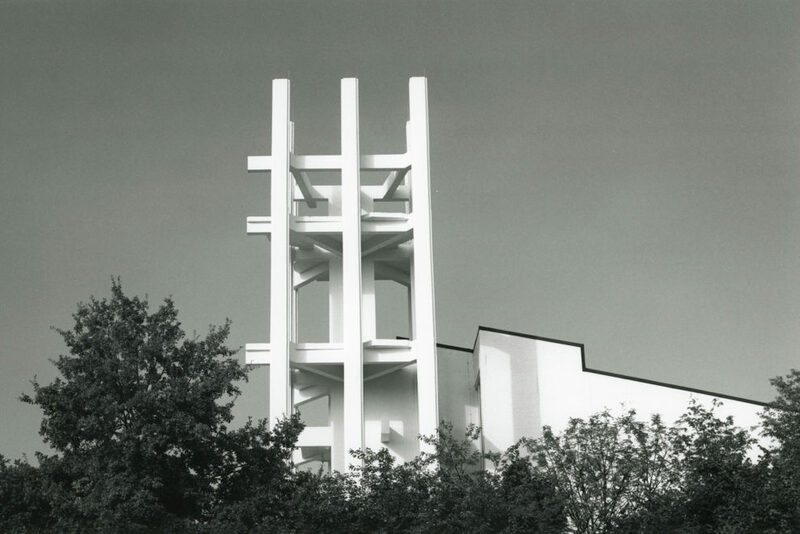 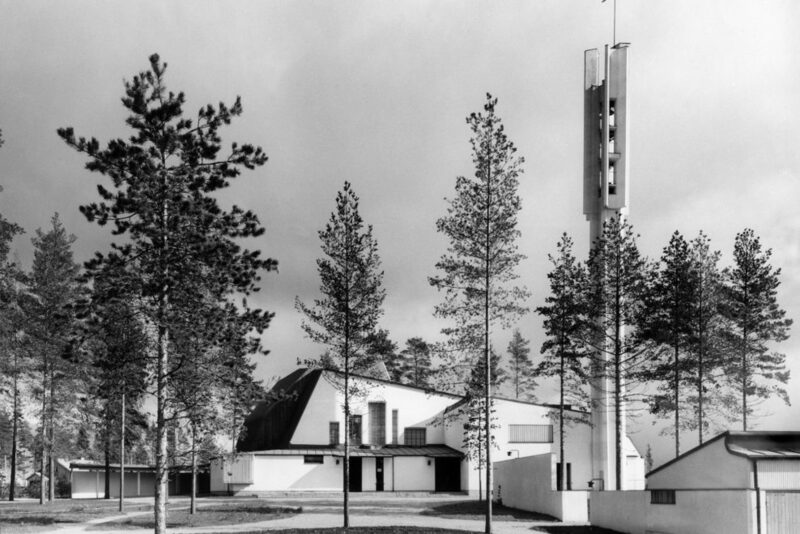 Aalto was commissioned in 1969 to design a new, larger church to replace the old one. 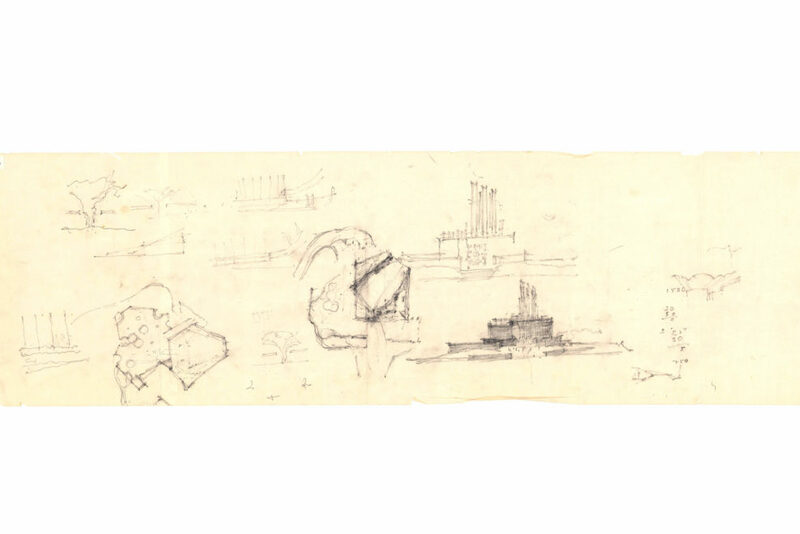 His point of departure was the fact that the city’s central square is flanked on either side by a hill. 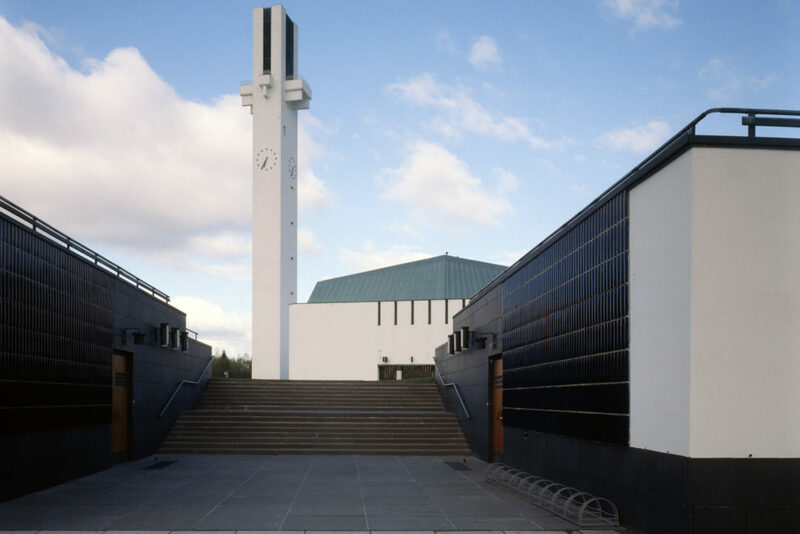 One of the main streets leads straight up to the City Hall designed by Eliel Saarinen, whereas the opposite street axis leads to the top of the hill on which Aalto’s new church was erected as the city’s second architectural landmark. 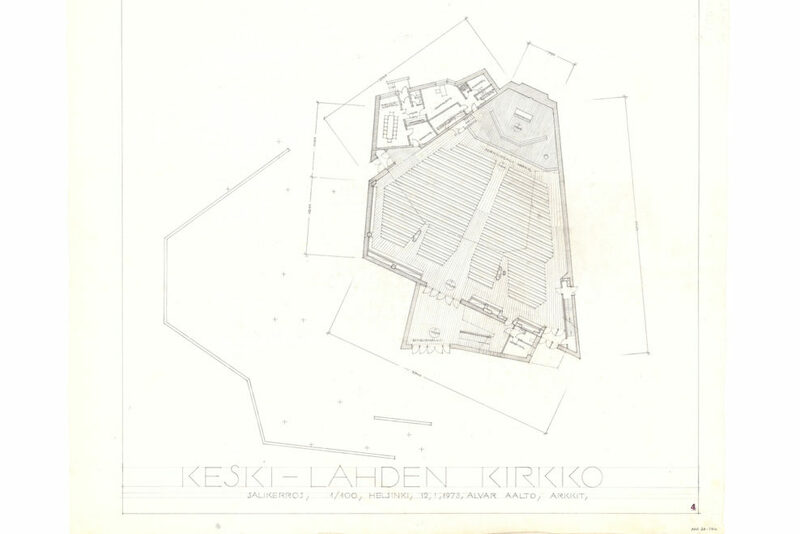 The ground plan is an equilateral triangle with two severed angles. 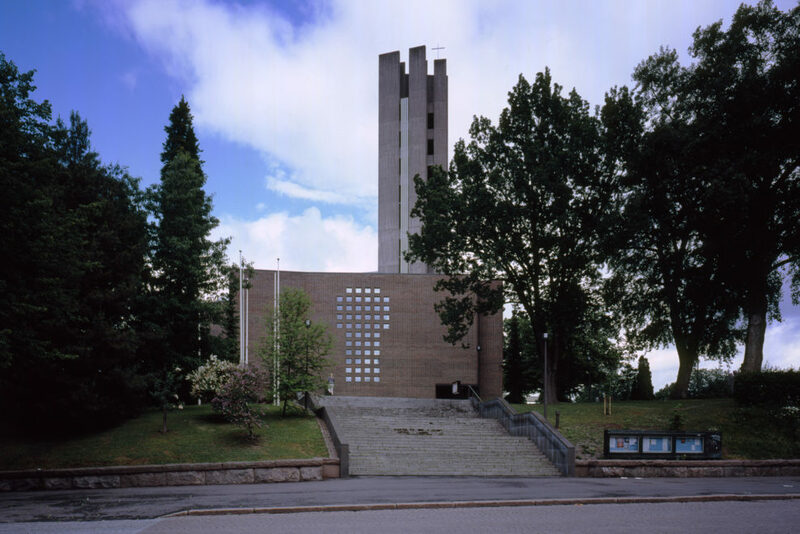 It is placed slightly off the street axis, but a wedge-shaped vestibule added to the structure brings the entrance hall windows, shaped like a monumental cross, at right angles with the street perspective. 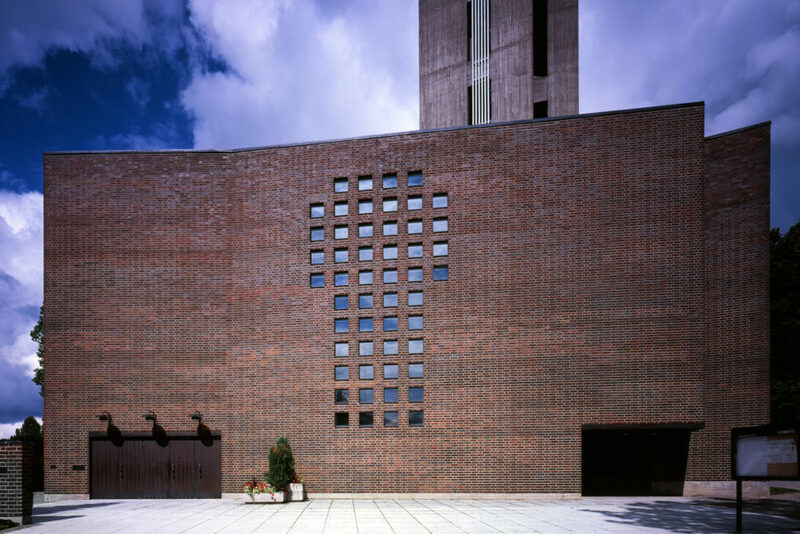 The facade material is dark red brick except for the massive bell tower of raw concrete, integrated into the northwest corner of the church. 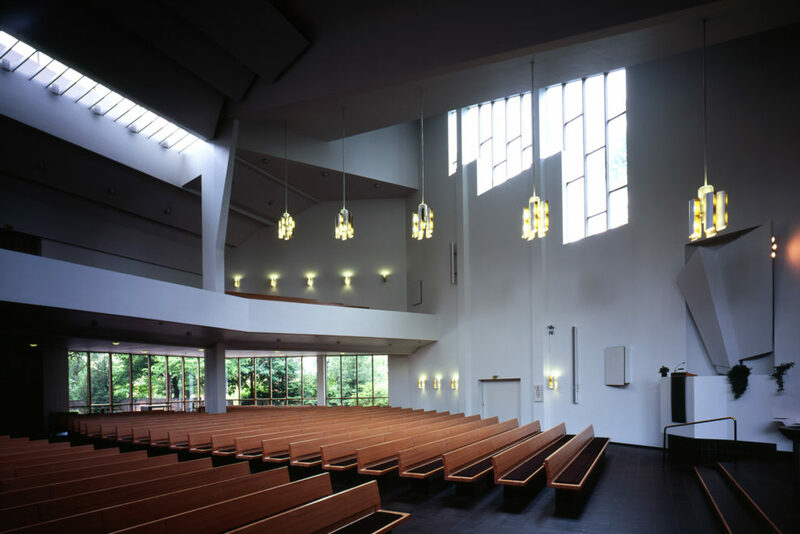 Open daily 10AM – 3PM and during services. 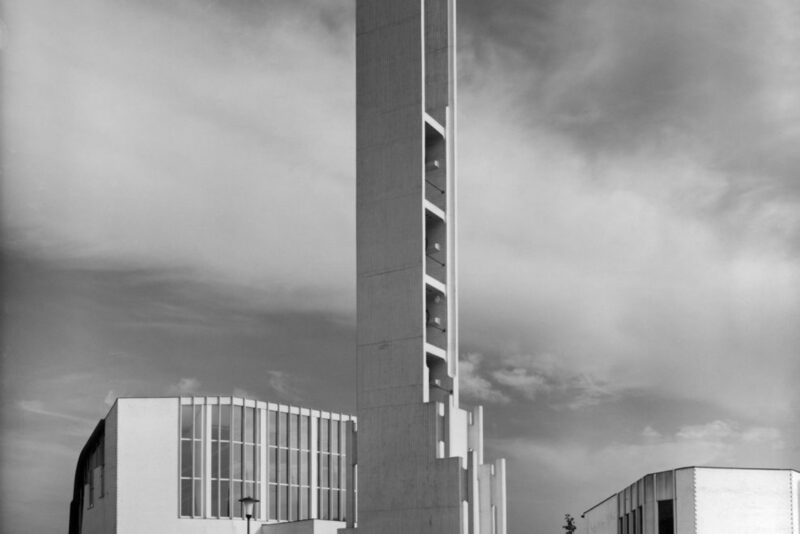 Tel: +358 50 577 2928 (concierge). 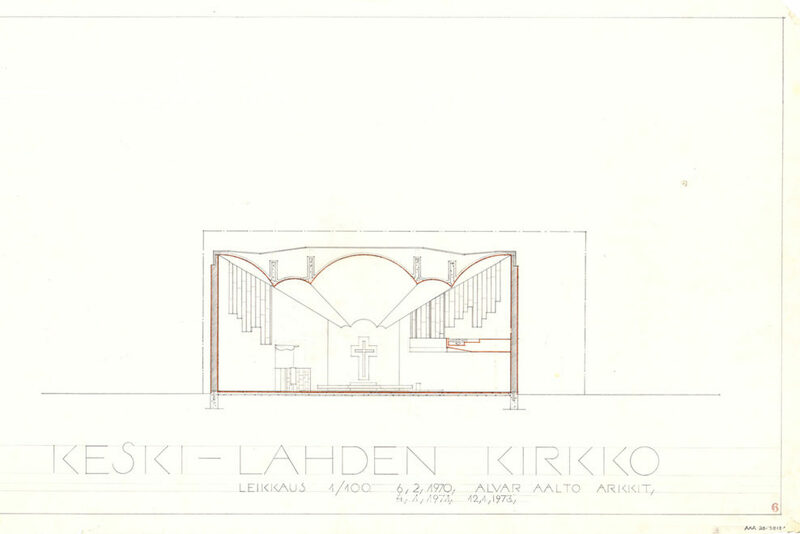 See our online service visit.alvaraalto.fi for more information, including tours.